Over fourteen years ago a little company began with a simple goal – to create high quality, affordable furniture classics that will enhance any home. The gold was in the details to the folks at Orient Express Furniture, and they dedicated themselve View more s to creating beautiful pieces that would serve to impress for years to come. That goal was achieved and then some. Orient Express Furniture has become one of the biggest names in the American furniture industry. Their products are found in the most elegant homes, and their reputation is only growing. Their collections now include fashion-forward, breathtaking designs that are putting them on the forefront of today’s competitive interior design industry. With their perfect combination of heirloom classics and cutting-edge modernity, there is an Orient Express Furniture piece for every home. Over fourteen years ago a little company began with a simple goal – to create high quality, affordable furniture classics that will enhance any home View more . The gold was in the details to the folks at Orient Express Furniture, and they dedicated themselves to creating beautiful pieces that would serve to impress for years to come. That goal was achieved and then some. 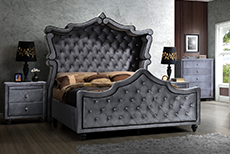 Orient Express Furniture has become one of the biggest names in the American furniture industry. Their products are found in the most elegant homes, and their reputation is only growing. Their collections now include fashion-forward, breathtaking designs that are putting them on the forefront of today’s competitive interior design industry. With their perfect combination of heirloom classics and cutting-edge modernity, there is an Orient Express Furniture piece for every home.